Co-locating our physical presence is Pat Salber, MD, CEO of HealthTech Hatch (@HealthTechHatch), while hosting both venue and virtual participation in the TEDMED 2013 live feed are: Alex Fair, CEO of Medstartr (@Medstartr), Nate DiNiro, CEO of OpenAffairs.tv (@OpenAffairs) and TEDMED’s Great Challenge’s ‘Shaping the Future of Personalized Medicine‘ Moderator Gregg Masters @2healthguru and @ACOwatch. In the innovation conversation, TEDMED is fast becoming a literal ‘force of nature’ featuring some of the best and brightest thinkers’ in the space, but also reaching out in a very granular way to touch, stimulate and engage the community that few other conferences or venues have even considered let alone pulled off. The TEDMED experience blends the best of Health 2.0 with the magic of the un-conference format aka HealthCamp and has raised the innovation engagement bar in a very big way. TEDMED is a multi-disciplinary community of innovators and leaders who share a common determination to create a better future in health and medicine. So many of our great challenges in health and medicine are rooted in social and commercial causes as much as medical. We need everybody at the table for an inclusive conversation about how to get the future in health and medicine we all want. TEDMED is a phenomenon and derivative spin off of the world class TED and TEDtalks series, albeit focused singularly in the healthcare, healthtech, biotech and medical space. Curated by Jay Walker and previously hosted in San Diego and Washington, D.C., the brass at TEDMED have outdone themselves by carrying this important message of hope and granular engagement to the masses via a hybrid physical venue but leveraged via 1,000’s of partner and affiliates sites around the globe. America —and the world—needs a safe place where people with very diﬀerent ideas and backgrounds can come together to talk…to learn…and to imagine transforming the future of health and medicine. TEDMED is creating that magical place. At TEDMED, a Nobel Prize winning doctor can have lunch with a four-star general, a venture capitalist and an NGO founder. A pediatric neurobiologist can learn from an opera singer who has undergone a double lung transplant. A ballet dancer can share a vision with an exoskeleton designer andthe U.S. Surgeon General. 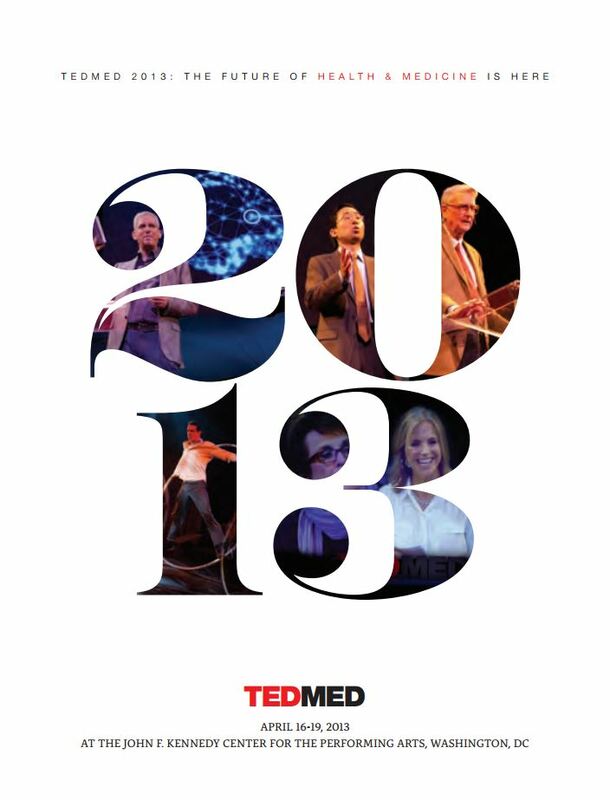 TEDMED is where we celebrate the ideas, innovations and inﬁnite new possibilities of our amazing world. The TEDMED community passionately believes the future of health and medicine is here…and our members are determined to shape that future to ensure a better tomorrow for the planet’s seven billion people. Next year, our annual gathering will unite thought leaders from all sectors of society at the Kennedy Center in Washington, DC (April 16-19, 2013). 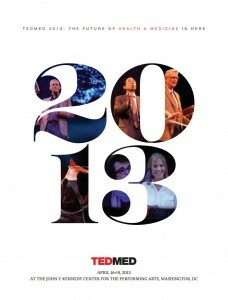 Year-round, our global community engages the Great Challenges of health and medicine at TEDMED.com. We hope you’ll join us—both in Washington and on the Web. Experience how innovation, imagination and inspiration can make America and the world a healthier place. The @HIBCtv team is passionate participant in the TEDMED affiliate network, and will be streaming it live this week. For the complete schedule click here, and follow us on Twitter via: @HIBCtv, @2healthguru, @HealthTechHatch, @Medstartr, @OpenAffairs and @LeonardKish. The official conference hashtag is #TEDMED. Check it out. Thanks to our friends at @symplur you can access a summary digital dashboard as well as key influencer analytics or daily or conference total transcripts. To access the live feed please follow either of the links below and enter the information as supplied! NOTE: Each HIBC.tv participant accessing the TEDMEDlive simulcast will need to enter his or her own email address and answer a couple of questions.